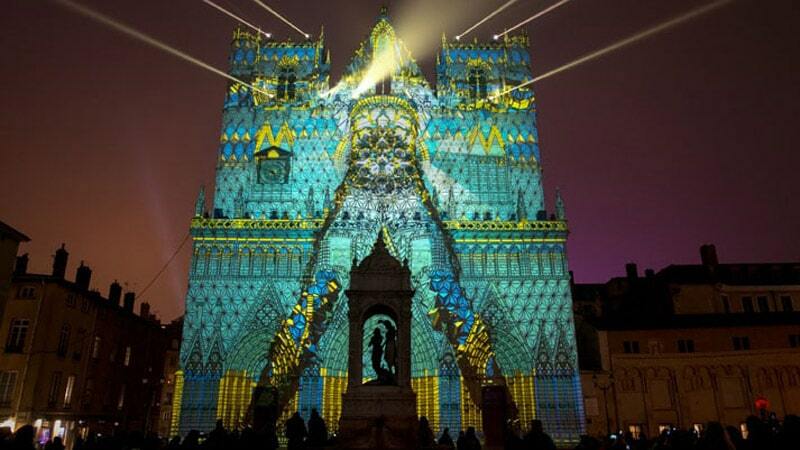 Lyon’s Festival of Lights originates from a religious ceremony in honour of the Virgin Mary. The majority of churches in the city are open to the public during the celebrations. Here are catholic events not to be missed. The Church of St. Blandine near the Perrache railway station hosts an international mass in English and Spanish at 7 p. m. on 8 December. Mass is celebrated until 8:15 p. m. and is followed by a prayer. The church will be open until 10pm. Mulled wine and soup will be sold on the church square. For the third year, the parish of Saint Bruno, ancient Chartreuse (monastery) of Lyon in La Croix-Rousse and the only Baroque church in Lyon will be opening it’s doors for 4 days (December 8th to 10th) for you to discover it’s historic buildings. Visitors will be guided by a “virtual monk” who tells the story of his life during the 16th and 18th centuries throughout the last 430 years of history of this ancient Chartreuse. The guided visits are in groups of 20 people maximum and begin every hour starting at 15h (until 21h) between the 7th and 9th. On the 8th there are no visits between at 18h and 19h because of the mass. On the 10th of December, the last visit of the day will be at 18h. You can meet at the St Bruno Church, 56 rue Pierre Dupont (Lyon 1) and arrive 5 minutes before the tour commences. From Thursday 7th December to Sunday 10th December, come to the exceptional opening of the « Dungeon of Saint Pothin » (Lyons first bishop in the 2nd century) and the crypt of the martyrs of Lyon (AD 177) whose restoration has just been completed. In the ancient hospital of the Antiquaille, the crypt of the chapel was built in the 19th century, where christian martyrs would have been locked up before their death in the amphitheatre of the 3 Gaules, in 177. This is free from 18h onwards over the four days. Last entries at 10:45 pm. The entrance is freely within the limits of the capacities of the Antiquaille. Torchlight procession starts from Cathedral St-Jean. 18:30 – 20h – Torchlight procession “for the young and the spirit of the people of Lyon” leaving from the Saint Jean Primatiale. 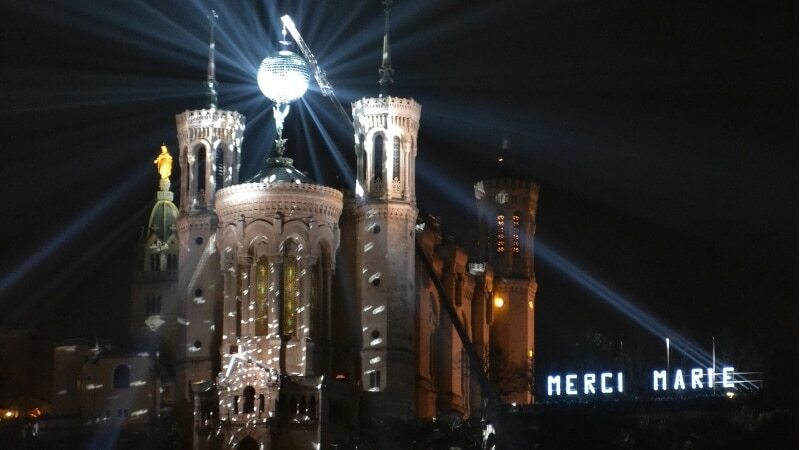 20h – Mass for the young with the Cardinal Barbarin at the Basilica of Fourvière. 22h15 – Mass for the people of Lyon, the ill or the infirm.